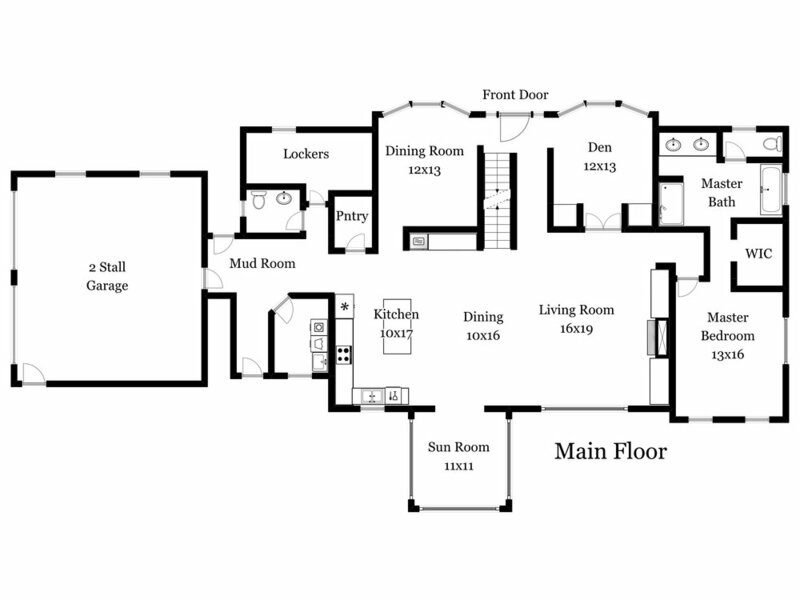 Floor plans can help potential buyers visualize the layout of real estate listings. While photos are the most important marketing asset for real estate, many buyers, sellers, and realtors find floor plans helpful. I can provide basic floor plans with approximate dimensions, which will look something like the one below. Floor plans can show where windows are located, which doors lead to where & which direction they open, how many stalls the garage has, the shape of rooms, and other useful information. We format the labels of main rooms to be visible in a gallery of photos on MLS sites, and show the location of toilets, sinks, appliances, stairs, counters, and fireplaces. For $15, (via tourbuzz.net) I can host an interactive floor plan and virtual tour, which offers clickable camera hotspots, like shown below. Click here to see the example live.